Taylor Pickens, a Cleveland Heights High School alumna and two-time Lake Erie League (LEL) Player of the Year, is returning to her alma mater as head girls soccer coach. Pickens is a 2007 graduate of Heights High, where she starred on the soccer team 2003–06. A four-year starter, she earned LEL Player of the Year honors as a junior and as a senior. Pickens was a two-time state club champion with the Cleveland Cobras Soccer Club, and participated in the Olympic Development Program. Pickens went on to play collegiately at Youngstown State University, 2007–11. Pickens has spent the past two seasons as the head girls soccer coach at Euclid High School. She has also coached with the Eastside Kickers Soccer Club and is currently coaching with the Ohio Premier Futbol Club. IN 2015, Pickens was Heights High junior varsity coach under veteran coach Paul Eyre. 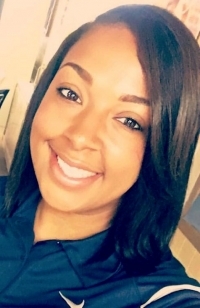 Pickens holds a bachelor’s degree in criminal justice from Youngstown State and is currently pursuing a Master of Arts in Education from Ursuline College.